On March 11, 2019 Creator called home our beloved Jonathan Anthony Many Bears “Naamskiisaokskinii”. He was survived by his loving daughter, Nola Korine Mae and granddaughters Myla Frances Kee and Alanna Sunny Rose; his parents, Floyd and Korine Many Bears; sister Kendra (Phil); brothers, Nathan (Chelsea) and Drayton (Kassandra); adopted sisters Gabrielle WH and Candace S (MB) as well by his cousin/best friend Andre Crop Eared Wolf (Petoosis). Family was important to Jonathan as he spent countless hours at his grandparents’ home, playing with his cousins in the coulees and swimming in the river. He often spoke of the close bond he had with his grandfather Thomas Yellow Horn, and the times spent with him in Piikani. Jonathan met his first love, Tonya Tsosie in 1993 at Kicking Horse Job Corp, together they would begin their life’s journey. They married in January 1995. On March 30, 1995 they would welcome their beloved angel, Nolan Floyd. On October 3, 1996 they would go on to welcome their beloved daughter Nola Korine Mae. She was the center of his universe, showering her with his love and affection! Naamskiisaokskinii will be remembered for his love and devotion to his parents – as he was always with them. He would often be seen at the racetrack with them and would meet many friends and relatives there. When he would go to the tracks, he will be remembered for always taking the time to stop and say hello to everyone he knew. His infectious laughter will always be remembered. Left to mourn Jonathan’s passing are his great uncles, Peter (Wanda) Weasel Head and Tony Fox; great aunts; Dorothy Provost, Rachel Big Plume, Mary Steele; uncles: Romeo, Joe, Marvin/Buck (Marlene), Dr. Eldon Yellow Horn; Winston, Warner (Debbie), Leonard, Raymond (Greta), Edmund, Randy (Gail), Ivan (Donna), Tony (Jennifer) Many Bears; aunts: Connie (Andy), Kathy (Stewart), Eva, Adeline, Celestine, Ann (Ken), Rosella, Delores (John); nephews: Jude, Giovanni, Deacon, Brodin, Ronin; nieces: Kitty, Shadow, Aria’annie; godparents, Charlie Blood and Maria. He is also survived by his many relatives in Kainai, Piikani, Siksika, Tsuu T’ina, Amskapii Piikani, Saskatchewan and Arizona. He is predeceased by his son Nolan Floyd; maternal grandparents, Thomas and Nellie Yellow Horn; paternal grandparents, Jack and Margaret Many Bears; aunties: Denise Yellow Horn, Agnes Smith, Justine Wostenberg; uncles: Thomas Many Bears, Percy Smith, Oliver Shouting; cousins: Kaylem Bull Shields and Riley Black Rabbit. The family wishes to extend our gratitude for the condolences and prayers received during this difficult time. A Wake Service will be held at the White Calf Hall, Stand Off, AB on Monday, March 18th from 7:00 - 11:00 p.m. 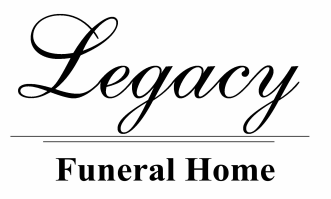 The Funeral Mass will be held at the Holy Cross Catholic Church, Fort Macleod on Tuesday, March 19th at 1:00 p.m.
Interment at the Many Bears Homestead. Condolences may be sent by CLICKING HERE.